Grass doesn’t like shade. If you have a lot of shade trees or other low light conditions in your yard, you’re never going to have a lawn. It’s as simple as that. Or is it? Most grass does need a lot of sun. Even light shade reduces the plant’s vigor. Roots, rhizomes, stolons and shoots are all affected. So what’s a homeowner to do? Can you find grass seed for shade? Yes! The truth is that there is such a thing as shade tolerant grass. Now, before you get too excited, please understand that no plant can survive without some light. No matter what the claims, there’s no such thing as no-light-ever, deep shade grass. But there are things you can do to achieve a decent lawn in areas that receive some indirect light, and the first thing to do is look at what’s the best grass for high shade and work from there. Red Creeping Fescue – Red Creeping Fescue is a cool season grass that has an excellent record as a fairly deep shade grass. Velvet Bentgrass – Velvet Bentgrass also a cool season grass with an excellent record. St. Augustine – St. Augustine is the best deep shade grass for warm season cover. It doesn’t play well with other grasses because of its distinctive texture. Poa Bluegrass – Poa Bluegrass is a rough stalk bluegrass that many consider the best grass for high shade because of its indifference to water conditions. Unfortunately, it doesn’t mix well with other deep shade grass because of its light green color. 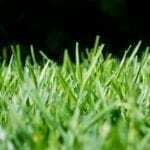 Tall Fescue and Hard Fescue – These fescues are usually found in shade mixtures and have a great rep as grass seed for shade of medium density. They’re some of the best for foot traffic. Rough Bluegrasses – Rough Bluegrasses have a better reputation as shade tolerant grass than their fine-bladed counterparts. They must, however, have a few hours of direct sun to do their best. 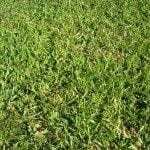 Zoysia – Zoysia grass has a good tolerance for medium shade areas. While it will grow in northern climes, it’s best used as a warm season grass, as it turns brown with the first frost. Centipede Grass and Carpetgrass – Both Centipede grass and Carpetgrass are great warm season grasses for light shade areas. Perennial Ryegrass – No discussion of what grass grows in shade would be complete without mentioning Perennial Ryegrass. It’s a quick fix for deep shade. Grass will germinate, grow and make a good cover for about a year. You’ll have to over seed on an annual basis, but if it’s an area where the best grass for high shade won’t grow and you insist on a lawn, it may be your only solution.